Marketing is just like a business. It all starts with a good strategic plan. In aviation marketing, you must use that plan to account for both customer demands and an ever-changing aviation environment. And to expand internationally, your aviation marketing company needs to create a truly effective plan using a disciplined approach, so you can be a winner in both the global market. The following five strategies are a great start. Your brand advertising agency will tell you that the best way to correctly target your customers is to use data analytics tools, and they’re right. These will help you collect, analyze, and interpret data so you can create unique customer profiles and base your decisions on facts instead of assuming what the customer wants from you. A study by the Harvard Business Review stated that companies who use marketing analytics tools offer a better customer experience through a more rewarding, compelling, and personalized model. You can set your company apart from the competition using a better customer engagement model. Before you start thinking about new flight markets, consider how you can improve the markets you already have. Put some thought into why some customers might prefer your competitors and work on retaining your customer base. Only after you fill your current market segment gaps should you begin reviewing your ability to serve new markets. If you believe it’s time to expand, research your potential markets. Are they already saturated with competitors? What industry trends characterize those markets? Answering these questions can help you determine whether you’ll be able to successfully compete in these new segments. There are two main diversification strategies for new markets. The first is a defensive marketing strategy which focuses on stagnant market segments by extending their life cycle and preventing them from shrinking. The second is an offensive marketing strategy which focuses on growing your market share and reach. Your aviation marketing company should provide you with the results of any marketing plan. These metrics can be used to determine what strategies worked and which ones you need to work on to achieve your goals. Today’s general aviation world is full of change, and growth isn’t always inevitable. You have to make business growth happen by paying attention to the little things. You have a lot of competition, both domestically and globally, so using a brand advertising agency to develop a strategic marketing plan that evolves with your company is imperative for sustainable business growth. At Aerospace Marketing Group, our experts can help you create a personalized, all-encompassing marketing solution that allows you to grow. To understand why more and more aviation companies are using our solutions to expand their brand, contact one of our professionals today. Multiple carriers are offering expensive and innovative travel perks to their customers such as personal assistants, full-flat beds, and virtual reality on airplanes in an attempt to take airline marketing strategies outside the box. But are these amenities and perks what customers really want, and are they willing to pay for them? If you’re not meeting the needs of your airline’s target market, even the most innovative features won’t create a great impact. These days, you no longer need to guess at customer needs or hold countless focus groups to discover them. 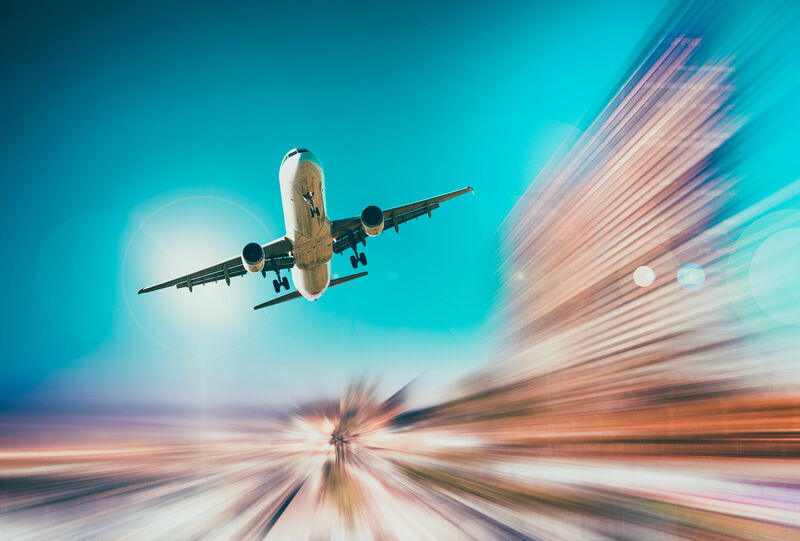 Instead, SEO for aviation can help airlines work with specific customer profiles and use facts instead of anecdotes to make important decisions. By using airline marketing campaigns with data analytics to understand your customers, you can increase revenue and stand out from the crowd of competitors. 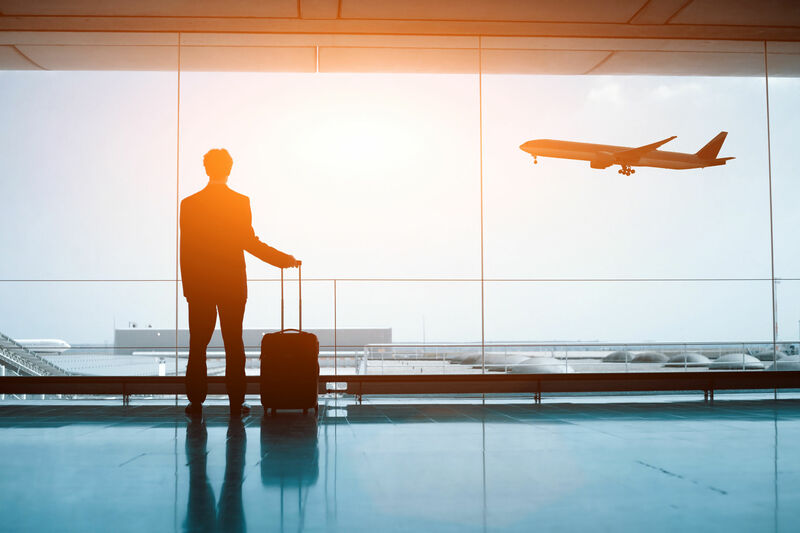 A 2016 research report from Sabre found that airlines with a data-driven customer experience stand a chance of increasing total customer worth by $227 per passenger. Passenger numbers were expected to increase to 4.3 billion in 2018, and airlines often make the mistake of approaching marketing as if all these passengers have the same needs, instead of realizing that not all travel customers are alike. By building customer segments and profiles, you can determine each segment’s needs and personalize your services and marketing materials to fit them. Examples might be enabling expedited immigration clearance, providing country-specific SIM cards for cell phones, offering electrical converters after international flights, or arranging taxis to transport travelers to their destinations. You can take the concept of personalized service a step further by helping travelers connect with loved ones on the holidays or reminding them of their spouse’s birthday. Because these customized airlines marketing strategies are enabled by analytics, they’re more likely to pay off in increased loyalty and business. A study by the Pew Research Center states that around 29 percent of mobile phone users can’t live without their device. Sixty-seven percent of users continually check their phone, even when it doesn’t vibrate or ring. Therefore, it should be no surprise that the fastest growing flight check-in method is mobile and the 2015 Passenger IT Trends Survey by SITA shows that 67 percent of travelers want to use their device for in-flight entertainment. Mass reliance on mobile devices has opened many doors for airline marketing campaigns, beyond the obvious check-in capabilities. Some airlines are now allowing passengers to order duty-free items, snacks, and drinks from their phones, while others allow passengers to access airline-sponsored content such as games, newspapers, and videos. The Netherland-based Arke airline found that up to 40 percent of their travelers were reading the country’s leading newspaper through this service, so they stopped carrying the paper edition. Based on positive reactions, they planned and expansion into magazines and e-books. Effective marketing strategies for airlines make customers feel like an important member of the team. Customers want to be understood, so when you use data analytics to discover needs they didn’t even know they had, you earn a level of loyalty that goes beyond traditional advertising. Contact us today to learn more! Is ‘digital branding’ just a fancy buzzword? Or is there more to it than boardroom-speak? Businesses invest countless hours and thousands of dollars in the hopes of building a strong brand image. Companies already practicing this know just how much of their success hinges on their brand, and how it affects every aspect of their business. What Do Customers Want from An Aviation Firm? The thing that makes airlines unique from other industries is that they are not selling a physical product, nor are they simply offering a service. Above all else, airline branding strategy revolves around providing customers with safety and reassurance. The industry is built around providing comfort, convenience, and security. And just like with all other service-related businesses, marketing for aviation companies is concerned with increasing customer base while simultaneously sustaining customer loyalty by nurturing relationships with existing patrons. Every time someone boards a plane fully expecting to get to their destination in one piece, without even thinking twice about stepping into a long metal box that takes them several thousand feet in the air… that’s how you know an airline has done its job correctly. Two of the most common colors used in airline logos are blue and red, and there’s a reason for that. Blue exudes a sense of calmness and reliability. Red, being on the opposite end of the spectrum, represents strength and boldness. Of course, airline themes are not limited to these two. Depending on how a company wishes to be perceived, they may choose from other colors. Purple is a good option for a luxury airline, while orange can attract customers from a lower age bracket. The shape of a logo also conveys meaning. Rounded, softer logos speak of safety and comfort, while logos with sharp angles give the illusion of speed and modernity. With proper marketing techniques (or with the right people managing your digital branding services), a logo can become synonymous with a company’s brand. Using the logo as the profile photo on all the company’s social media accounts helps create an impression on people’s minds and makes them more familiar with it. You may also include your logo in company emails, fliers, merchandise, and other promotional content. The key is to be consistent. Sure, you’ve got your logo and marketing strategy down pat. But if you don’t use them right, all that effort will be for naught. Content marketing is a tool that allows companies to connect to customers in a way that is relevant and direct, providing them with information that is demonstrable in value. Be entertaining and informative. One way to do this is with listicles (articles in list form) that present useful knowledge to the customer but told in a humorous or witty manner. For example, why not write an article about the top 10 things you should never go without on long-haul flights? Integrate customer service with marketing. Part and parcel of airline branding strategy is having friendly and reliable customer service. JetBlue, for example, is extremely engaging on social media sites such as Twitter and Facebook. When people feel that they have a direct hotline to the company, and that their concerns are not only acknowledged but addressed, it fosters brand loyalty. Think of the mobile customers. As mobile devices usher us further into a wireless digital age, more people are spending time on their phones than on desktops. Therefore, it only makes sense to cater to the growing population of customers who are always on the go. Creating an app that provides the customer with a better mobile experience will go a long way in making your brand stand out. When you know your market, and are consistent with the implementation of your brand—from your logo, the tone of your content, and to the places where you choose to establish your online presence—there is absolutely no doubt that your airline branding strategy will be a successful one. Partner with Aerospace Marketing Group and Elevate Your Business! Airlines are part of the service industry, competing to offer the best experience of several similar competitors. As such, marketing including an airline advertising strategy, social media, and other programs can make the difference between gaining customers or losing out to other airlines. To attract the most customers and generate buzz, airlines must remain enticing and competitive. Here are four of the best strategies for marketing airlines. By creating a loyalty program, you will encourage flyers to become repeat customers, booking additional flights with your business. Most airlines will charge the same fare for identical trips. By letting a customer become eligible for perks by earning points, you can gain an advantage over the competition. Perks can range from seat upgrades to free flights, airport lounge passes, or discounted parking spaces. Be creative and you’ll find that loyalty program members may book exclusively with you to maximize their benefits. Thinking outside the box for advertising can help you work your way into your customers’ daily lives. The best airline advertising campaigns are a combination of traditional and non-traditional, so in addition to online and print marketing, make your presence known in the community. Air France sent trucks into New York City to distribute free food samples to people in various neighborhoods. Delta created Sky360 Lounges at sporting events and food festivals. Any way you can get your name out to the masses and get people to remember you is good for business. You need to make sure you’re reaching customers on social media to deepen relationships and humanize your brand. Find out which platforms your customers frequent and build a page there. You can use that page to offer sale and promotional updates, provide customer service, or give customers a fun behind-the-scenes look at your company. Customers love to hear about community initiatives airlines participate in and stories of employees going out of their way to satisfy their customers. 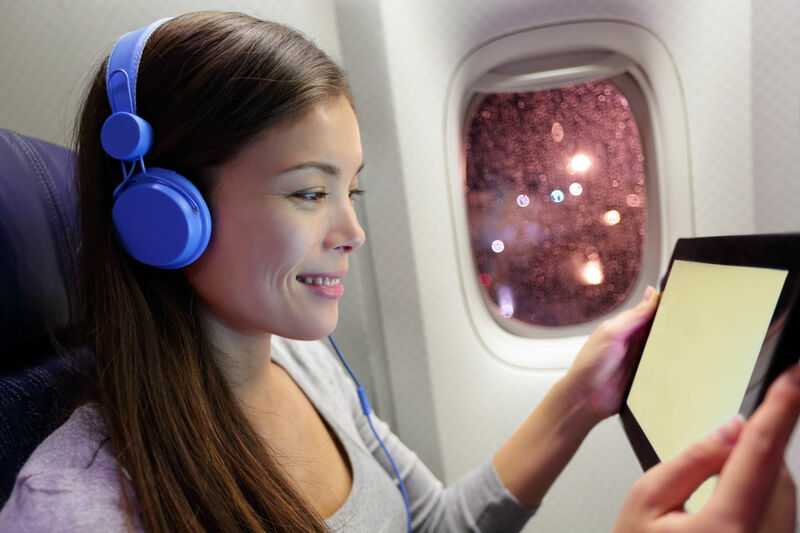 Creating an entertaining in-flight experience with features like in-seat systems that play current TV shows, music, games, or movies, can give you a customer advantage. For example, OpenSkies offered their passengers iPads with various entertainment options on select flights. By incorporating perks into your marketing strategy, you’ll entice more customers to choose your airline the next time they’re looking for a flight. When you get creative with your marketing and create the best airline advertising campaigns, you have a chance to rise above your competitors when people are looking for a flight. The Aerospace Marketing Group can help you come up with a modern marketing campaign that will let your company personality shine through. Call us today to find out how we can help you gain more business. In today’s digital market, a strong brand image is essential to stand out from the competition. It’s reflected in every aspect of your business starting with your mission statement and going beyond customer service to bring you success. You must nurture the relationship with your customer base, bringing in new sales while building customer loyalty. Because your industry focuses on convenience and customer comfort, a strong brand image is the key to running a successful operation. Airlines can rise above the competition simply by exploring concepts of brand loyalty and customer satisfaction. There are several ways to achieve this through aviation marketing services. You should put a lot of thought into presenting positivity through your image. Do this through careful color, font and word choices on the company’s advertisements and logo. You want to convey to your customers that you offer a positive travel experience. Let professional aviation marketing help you choose a slogan that portrays your airline in the best light. Remember those colors and fonts you chose for your logo? You’ll want to use them on every package and product. Consistency unifies your brand’s overall message and helps customers avoid confusing you with other brands. Repetition is key. As customers continue to see your logo, font and colors, they’ll start to recognize your brand every time they see it. Consistent branding across platforms helps them connect with your airline on a deeper level. Imagery should be a big part of your brand. Logos should be visually appealing even without your slogan. Try testing possible logos out with potential customers as part of a focus group. Really think about the effect of various images, colors and design schemes when creating your brand. You’ll use these elements in everything from merchandise displays and product packaging to advertising and office space design to build loyalty and gain recognition. By using aviation marketing services to develop the right brand image, you can transform your firm into one that stands out from the competition. It’s been shown that humans have an attention span of around 8 seconds, so keeping copy to a minimum when creating slogans, brand names and logos is important. When customers encounter branding elements with too much text, they’re likely to move on. Keep your branding for aviation short and sweet to provide a clear message and increase the possibility that your target audience will remember it. Professional aviation marketing can help you build a brand that customers will recognize and remember. 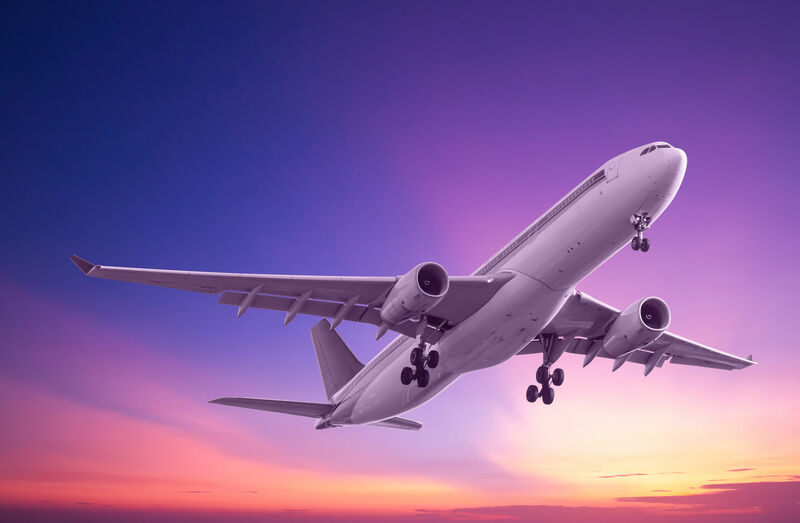 By following these tips, you can portray your aviation company in a positive light and build a solid customer base that returns to you for every trip. To run a successful marketing campaign in today’s market, aviation companies have to think past the print ads and brochures of the past. Instead, they should start thinking digital. 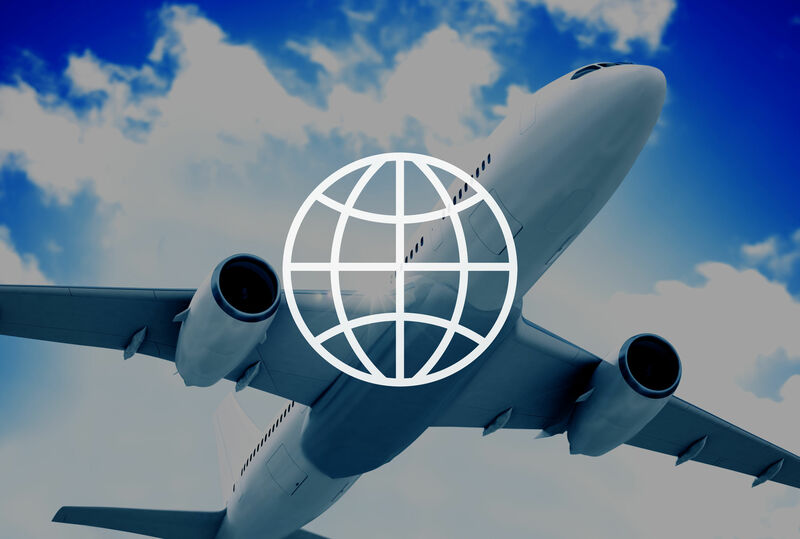 Modern airline marketing and management include a broad spectrum of strategies from web design and content marketing to social media, blogging and SEO for aviation. And don’t forget the PPC ads. It can all seem overwhelming to businesses who have worked the same way for decades. Let Aerospace Marketing put the following five marketing factors to work for your company. If you think blogs are just for teens and would-be journalists, you’re wrong. Forbes says marketing success is driven by the speed at which a brand can create awesome content, making blogs an important modern marketing tool. A well-done blog portrays you as an expert in your field. When you offer readers free articles about topics that interest them regarding your industry, they’ll start seeking you out for information. Once they see you as an expert, they’re more likely to become a customer. Blogs can also get you better rankings on the search engine results pages because they give you additional URLs for web crawlers and posts for social media, as well as working in other pieces of SEO like keywords. Using search engine optimization in your internet content and blogs can improve your rankings on Google and other search engine pages. By hiring a firm like Aerospace Marketing to do the research and discover appropriate keywords to work into your wording, your customers will be able to find you more easily. When they do a web search and click on your link, they may already be ready to buy. However, if the website they click on is frustrating or lackluster, they may leave before making a purchase, which brings us to the next factor in digital marketing. The aviation market is high-tech, so your airline marketing and management should be too. This is especially true for your website. A website that’s simply adequate is not going to instill confidence in your customers. Have a professional aviation marketing company walk you through an effective navigational menu and site architecture, a professional color scheme and page design that are pleasing to the eye, and quick loading times so your customers can get their information without a hassle. Every business that’s kept up with the times is on social media. You can’t do business without it in today’s world. Choose a site based on where the core of your customers is. FBOs can probably find their customers tweeting on Twitter or uploading pictures on Instagram of their travels. Join those sites and interact with them. Answer any questions they may have and you can foster their loyalty. If you’re a B2B avionics supplier, you’ll want to look at professional groups such as LinkedIn and network with other senior-level decision makers through professional aerospace groups. With a little research, you can figure out where your customers will be and use that to your advantage. Email campaigns or monthly newsletters can help you bring in new customers, get repeat business from current customers, encourage referrals, and promote brand loyalty. You should be working to gather email addresses everywhere you can. Have people sign up on your website, ask for addresses of potential customers at trade shows or from industry connections and referrals. After your list has grown, you should split it into groups based on interests. For example, MRO, avionics, bizav, etc. Next, segment it further based on where they are in the sales process. Are they a lead? A past or current customer? You can even segment them based on where you met them or their geographical location. By breaking the list down into groups, you can better tailor your message to their needs and get a greater conversion rate. Going the digital marketing road alone can be scary and confusing. Aerospace Marketing Group can make it easy. Talk to us about promoting your aviation brand online. Contact Aerospace Marketing Group today for all of your aviation digital marketing needs!